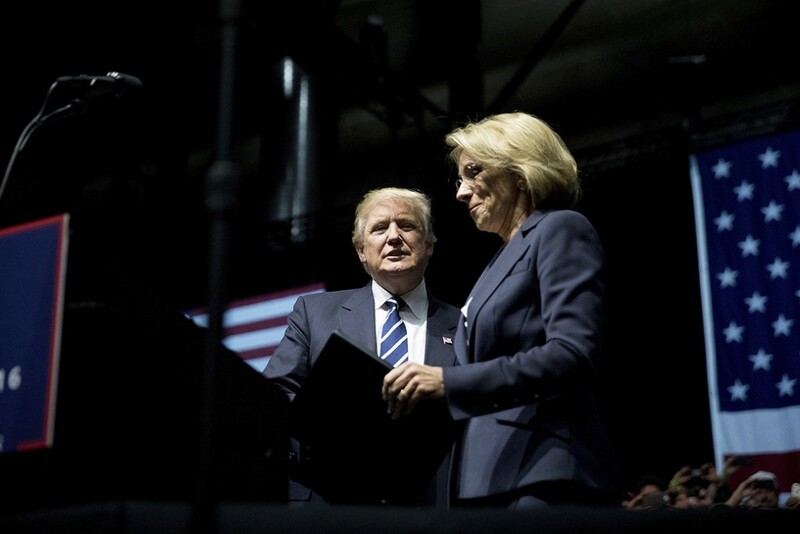 One of the sole pillars of the public education plan from President Donald Trump and Secretary of Education nominee Betsy DeVos is to divert $20 billion from existing federal education programs to create a nationwide school voucher program. While public charter schools with strong accountability systems can provide excellent opportunities for children, this voucher plan could leave many students vulnerable to discriminatory practices, remove critical civil rights protections, and drain funding from public schools. This fact sheet provides an overview of the differences between strong policies for public charter schools and other forms of public school choice and President Trump and DeVos’ plan to use vouchers to decimate the United States’ public education system. Kami Spicklemire is an Education Campaign Manager at the Center for American Progress. Neil Campbell is the Director of Innovation for the K-12 Education Policy team at the Center.